This Medical Research Council (MRC)/Department for International Development (DfID) jointly funded scheme aims to strengthen research leadership across sub-Saharan Africa (SSA) by supporting exceptionally talented individuals who will lead high-quality programmes of research - on key global health issues pertinent to SSA - in local institutions. Lack of grant funding and research infrastructure in many sub-Saharan African countries can make it difficult to attract and retain talented African scientists and as a result, African nationals are currently under-represented as leaders in medical research in the region. The ARL scheme invites applications from African researchers already based in sub-Saharan African countries and from those individuals currently working overseas who wish to return to SSA. We would particularly welcome high-quality applications from female scientists and from investigators across a broad range of disciplines. The scheme is open to talented and enthusiastic African investigators working in all biomedical and health research areas within the MRC/DFID remit on global health. A series of short case studies about the current awards are available showing the breadth of diseases being tackled and the different models of leadership. Priority will be given to applications that address the key health problems relevant to national and regional health needs and hence best conducted in SSA. a firm partnership with a UK partner institution (where the principal investigator is based). The African Research Leader will be nominated by a UK based principal investigator as part of the partnership between the African and UK institutions. The application must be submitted by the UK institution. Outstanding ARL candidates who do not have a PhD but who are educated to Master's level and have substantial research experience, as evidenced by their publication record, may also be considered in exceptional circumstances. Researchers who already have a well-established record of securing significant international research grant funding, or have reached a level of seniority e.g. professor or head of department, should not apply to this scheme. These individuals may apply at any time as a co-investigator together with a UK-based principal investigator to any of our response mode funding schemes. Applications from women are particularly encouraged. Candidates wishing to combine their research with domestic responsibilities may seek the award on a part-time basis. The terms and conditions of the award make allowances for maternity/paternity leave. An allowance will also be made to those researchers whose career has been affected, either by a late start or by an interruption, for personal or family reasons. Activities can be focussed on any major health priority in sub-Saharan Africa, including infectious diseases (major diseases such as malaria, HIV and TB), neglected tropical diseases, zoonotic and emerging diseases, co-infections and issues associated with emerging resistance to current drugs. Beyond infections, research can focus on nutrition or non-communicable diseases including metabolic, cardiovascular, cancer, respiratory and mental health research or co-morbidities. Basic, fundamental health research approaches, experimental medicine providing mechanistic insight to human diseases, epidemiological (social, genetic, immunological) research, prevention research, public health; systems, modelling and implementation research are all welcomed and if appropriate, research may be targetted to vulnerable or disadvantaged groups including mothers, neonates, children, adolescents or the elderly. The ARL scheme will not support clinical or health-related trials including phase 1 safety, proof of principle, efficacy or effectiveness trials of any new medicinal product, device, vaccine or other interventions. There are specific strategic streams of funding available for such research proposals. However, it will support observational programmes of epidemiological, laboratory, field and clinical research and early-stage developmental research which may be associated with, or lead to future intervention evaluation or clinical trials. If this is the case the outcomes of the research and how these will be anticipated to inform future work should be made clear. The majority of the research is expected to take place in the African environment. The African Research Leader should be supported by a robust research environment in their own local institution and by a strong linkage with a UK partner. The resources requested should be specific and relevant to the research proposed. The awards provide support for up to five years. The grant package includes a potential contribution to the African Research Leader’s salary (up to 100% in the first year), funds for a programme of research, and support for collaborative activities between the African and UK institutions. The monetary value of this award will not exceed £750 000. For more information on this funding opportunity, please see the call on the MRC website here. 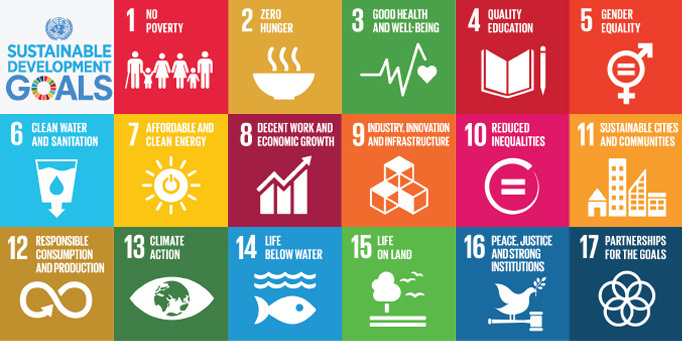 Cambridge Global Challenges is a Strategic Research Initiative of the University of Cambridge that aims to enhance the contribution of its research towards addressing global challenges and achieving the Sustainable Development Goals (SDGs) by 2030. Shape CGC thematic working groups, some of which are likely to focus on coordinating funding proposals, by registering your research project idea. Response to RCUK GCRF Collective Fund: please contact us about emerging proposals and if you are interested in becoming involved.